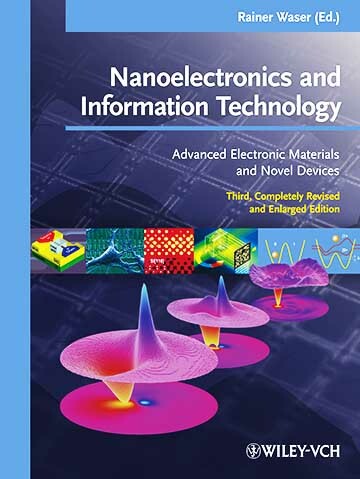 Third, completely revised and updated edition of our modern full-color introduction to advanced electronic materials including a current review of novel devices for information technology. Approximately one third of all chapters is new, the others have been comprehensively revised. Providing an introduction to electronic materials and device concepts for the major areas of current and future information technology, the value of this book lies in its focus on the underlying principles. 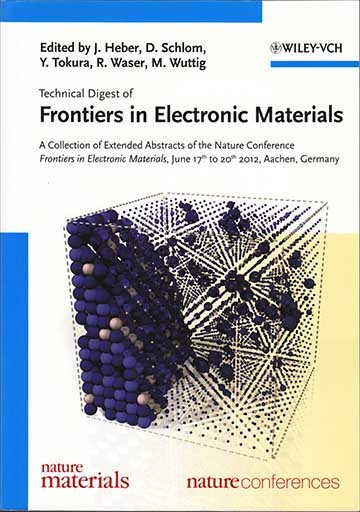 Illustrated by contemporary examples, these basic principles will hold, despite the rapid developments in this field, especially emphasizing nanoelectronics. There is hardly a field where the links between basic science and application are tighter than in nanoelectronics and information technology. As an example, the design of single electron devices, molecular electronic structures or quantum computation systems is simply inconceivable without delving deep into quantum mechanics. This textbook is primarily aimed at students of physics, electrical engineering and information technology as well as material science in their third year and higher. It is equally of interest to professionals wanting a broader overview of this hot topic. 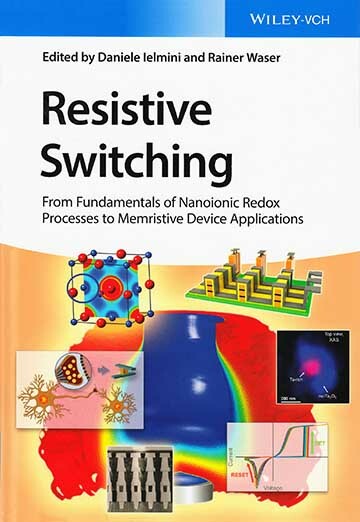 Comprehensive in its coverage, this invaluable, self-contained reference introduces readers to this wide field, providing the knowledge, tools, and methods needed to understand, characterize and apply resistive switching memories. 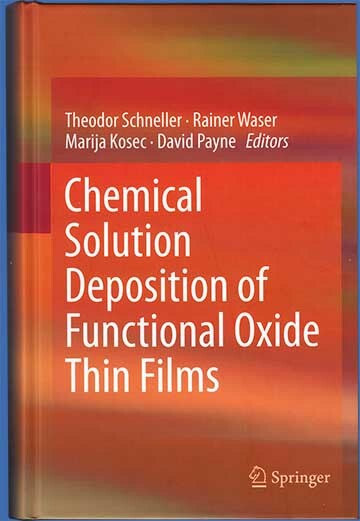 This is the first text to cover all aspects of solution processed functional oxide thin-films. Chemical Solution Deposition (CSD) comprises all solution based thin- film deposition techniques, which involve chemical reactions of precursors during the formation of the oxide films, i. e. sol-gel type routes, metallo-organic decomposition routes, hybrid routes, etc. While the development of sol-gel type processes for optical coatings on glass by silicon dioxide and titanium dioxide dates from the mid-20th century, the first CSD derived electronic oxide thin films, such as lead zirconate titanate, were prepared in the 1980's. Since then CSD has emerged as a highly flexible and cost-effective technique for the fabrication of a very wide variety of functional oxide thin films. Application areas include, for example, integrated dielectric capacitors, ferroelectric random access memories, pyroelectric infrared detectors, piezoelectric micro-electromechanical systems, antireflective coatings, optical filters, conducting-, transparent conducting-, and superconducting layers, luminescent coatings, gas sensors, thin film solid-oxide fuel cells, and photoelectrocatalytic solar cells. In the appendix detailed "cooking recipes" for selected material systems are offered. 9 Volumes - This set of 9 volumes represents an in-depth overview of everything there is to know about nanotechnology and nanoscience. With each volume dedicated to a specific topic covered in detail by the relevant experts, this is the definitive cross-disciplinary reference. 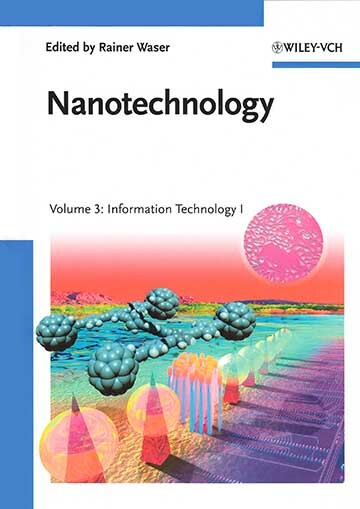 This authoritative reference addresses IT applications of nanotechnology, specifically computer memory and how the technology can be miniaturised. Aimed at students of physics, electrical engineering and IT, but also of interest to professionals wanting a broader overview. Adaptation of nanoscience to electronics is the hot topic discussed in this cross-disciplinary reference. Transistors, logic devices and quantum mechanics, just a couple of the subjects explained by leading professionals in the field. 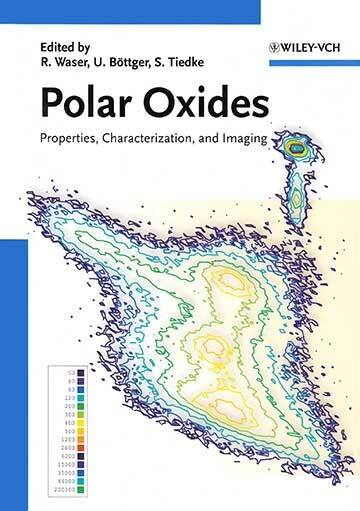 The book encompasses a wide range of topics including the characterization and investigation of structural, dielectric and piezoelectric properties of ceramic materials such as transition metal oxides (including PZT, PLZT, BTO, BST etc). Further issues are phase transitions, electrical and optical properties as well as microscopic investigations. A number of renowned international experts discuss and assess the properties of these materials under the aspects of new and advanced characterization and imaging techniques.